The new novel from the author of "The Husband's Secret"
"Sometimes it's the little lies that turn out to be the most lethal." A murder A tragic accident Or just parents behaving badly? What's indisputable is that someone is dead. "Big Little Lies" is a brilliant take on ex-husbands and second wives, mothers and daughters, schoolyard scandal, and the dangerous little lies we tell ourselves just to survive. 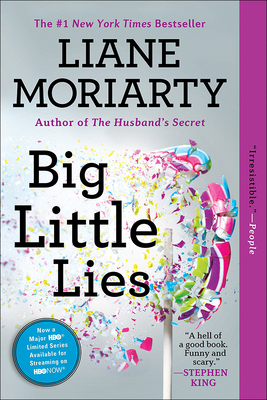 Liane Moriarty is the #1 "New York Times" bestselling author of "The Husband s Secret," "The Hypnotist s Love Story," and "What Alice Forgot." She lives in Sydney, Australia, with her husband and two children."